"In order to understand Ukraine, it is important to know that Ukraine is not a natural state at all. Ukraine was created just a hundred years ago by Polish revolutionaries and Austrian-Hungarian secret services." "In many ways, one may say that Lenin and Stalin were the creators of Ukraine, as the need to have a strong working class there was implemented. It is very strange that Ukrainians hate Lenin, because they really should love him. It was he who created modern Ukraine." "In the 1930's, you had a Nationalist-Fascist movement in Ukraine, and in the 1940's they cooperated with the Germans and killed hundreds of thousands of Jews and Poles. Seemingly, during the Soviet era, many thought that these problems had been overcome. But after Ukraine became independent from Soviet in 1991, there was unfortunately a reawakening of this Nationalist-Fascist, anti-Russian movement. When the so-called Orange Revolution happened, these trends resurfaced." "They created museums to honor Stephan Bandera, the Ukrainian Fascist leader in the 1940's, he was made a hero in Ukraine. In 2014, during the Maidan and so on, Yanukovich was toppled, 5 or 6 of the new ministers were declared Fascists. The EU knew about this, and still supported it." "Later, it was brought to the attention of the public that the Ukrainian diplomat, the General Council in Hamburg, had produced hundreds of messages of Facebook saying that "Holocaust was a good thing", "Hitler was a hero", "Jews deserve to be killed" and so on. Tens of Ukrainian diplomats and journalists had supported these messages. I wrote about this, with copies of Israeli, American and other Norwegian news outlets, sending to leading Norwegian news outlets and none of them wanted to do this. I said, this is open Fascism, still there was silence. Why does our national state TV refuse to speak about this?" "There was a reaction against this in Crimea and the Eastern parts of Ukraine. Everyone who knows Ukrainian history, knows that this would create a reaction in the Eastern parts." 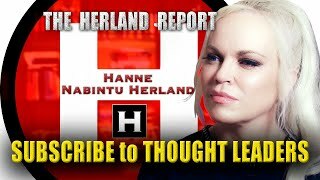 The Herland Report is a Scandinavian initiative, reaching millions yearly, presenting leading intellectuals' view on foreign policy, current affairs, religion, the Middle East, Western decadence - free from political correctness. "Det er slett ikke slik myndighetene våre sier at det ikke er påvist funn som viser koblingen mellom elektromagnetisk stråling og kreft. Det sier myndighetene og Strålevernet ganske enkelt fordi de ikke selv undersøker farene. De henter sine kunnskaper fra noen utvalg som er så skjeve som Titanic. Ganske enkelt." We discuss what happens when believers in God, who represent 80 % in Europe and US, are chronically looked down on by today's atheist elites. Woodley Auguste is a seasoned professional with over 15 years experience, an American PR guru who has publicized or overseen the marketing of numerous promotional campaigns including 12 New York Times bestsellers and the million copy best-selling books, The Harbinger and 23 Minutes In Hell. 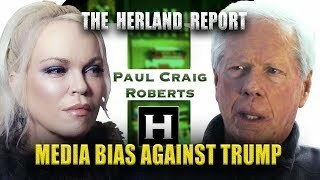 Herland Report TV (HTV): "Trump instantly fell under the attack of the liberal progressive left for being elected by, allegedly according to them, white heterosexual males who are woman haters, racist, sexist, gun loving nuts", says Dr. Paul Craig Roberts. He is chairman of The Institute for Political Economy, former editor of Wall Street Journal and a well-known author of many books. He is awarded the Treasury Department’s Meritorious Service Award for “his outstanding contributions to the formulation of United States economic policy. Dr. Davis states: "If we don’t get on another trajectory, we are going to experience the same thing as the Roman Empire. When you look at Wall Street, for instance, who made deals and put this country in a financial crisis, a housing crisis, and all of these executives, no one was held accountable for that. In fact, the government stepped in and assisted them but left Main Street holding the bank." 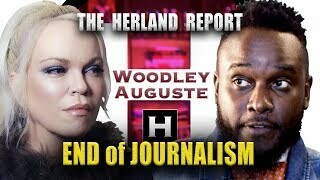 Herland Report TV: "We do not hear the truth about what is really going on in Libya today. Since NATO attacked Libya in 2011, the situation has been really horrible," says says the President and Founder of the Norwegian Organization for Human Rights in Libya, Mme. Linda Ulstein Ait Arezki. "We learn from the books about equality and freedom, but in reality we see totally the opposite in Libya. What is going on under the militia rule now is very inhumane. I really have no word to explain the horrors for regular people and the civilians." 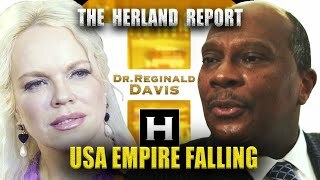 An EXCLUSIVE SHORT from The Herland Report TV (HTV): "The West has to stop patronizing, stop being neo-imperialistic. Aid needs to be weighed very carefully because it is a form of a drug, it is an addiction. It reinforces very dimension of the problems, the negative imaging, the negative social processes," says Gerald Steinberg, political scientist, professor at Bar-Ilan University, founder and president of NGO Monitor, a think tank focusing critically on the politicization of non governmental organizations. Dr. Davis is a professor at multiple universities, author, frequent radio guest and lecturer all over America, pastor of the historic First Baptist Church in Virginia. We are pleased to introduce new programs with Dr. Davis on a variety of subjects. 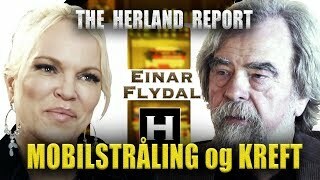 The Herland Report TV (HTV): "The massive international criticism against the Norwegian Child Protective Services (CPS) is met with a remarkable silence by the Norwegian government. There seems to be little will to look into the matter. This may be one of the biggest scandals of our time, with countless outcries by families who have experienced atrocities at the hand of the Norwegian CPS, cited in both the Norwegian and international media outlets, yet met by complete denial of the Norwegian authorities. 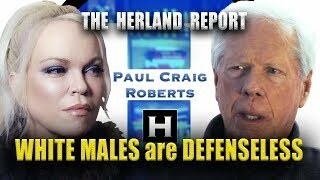 An EXCLUSIVE SHORT for Herland Report TV (HTV): "The new victim group are white, heterosexual males who are defenseless, they are not protected by quotas, prohibitions against hate speech or hate crimes," says Dr. Paul Craig Roberts, who is chairman of The Institute for Political Economy, former editor of Wall Street Journal and a well-known author of many books. He is awarded the Treasury Department’s Meritorious Service Award for “his outstanding contributions to the formulation of United States economic policy. 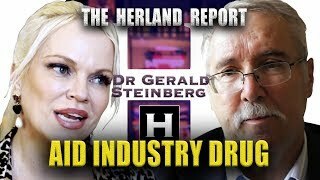 An EXCLUSIVE SHORT for The Herland Report TV (HTV): Liberal progressivism is by many viewed as a totalitarian movement in the West that shuts down free speech and the respect for diversity. People like Dr. Noam Chomsky and Dr. Paul Craig Roberts are still able to speak freely and Roberts explain why. 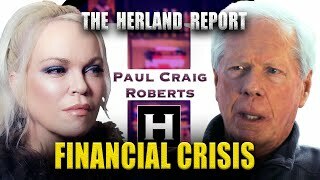 We speak with Dr. Paul Craig Roberts, who is chairman of The Institute for Political Economy, former editor of Wall Street Journal and a well-known author of many books. He is awarded the Treasury Department’s Meritorious Service Award for “his outstanding contributions to the formulation of United States economic policy.